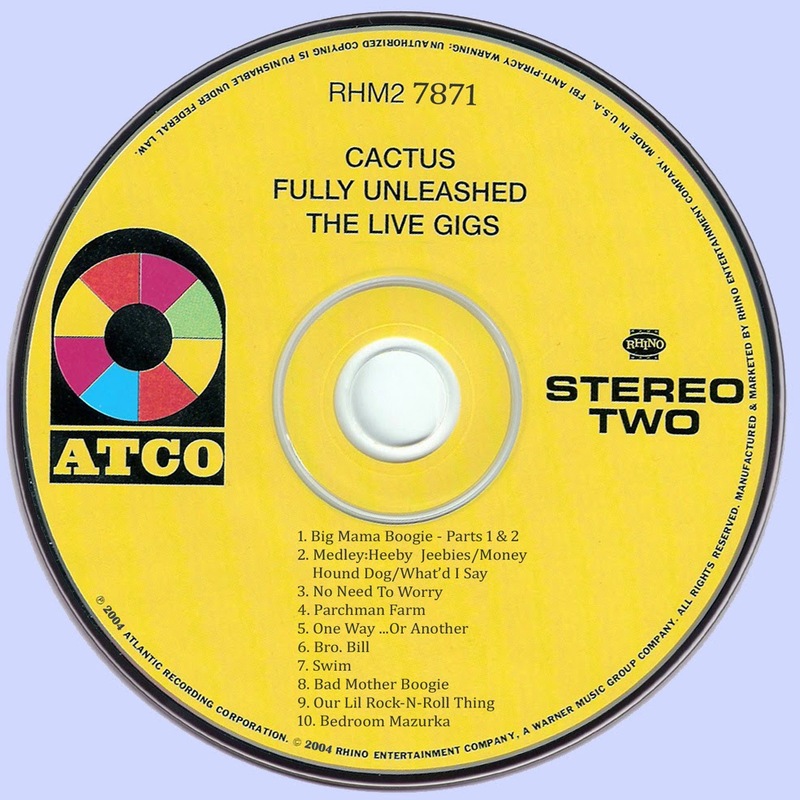 Fully Unleashed: The Live Gigs (2004) is the companion volume to the similarly thorough Barely Contained: The Studio Sessions (2004). 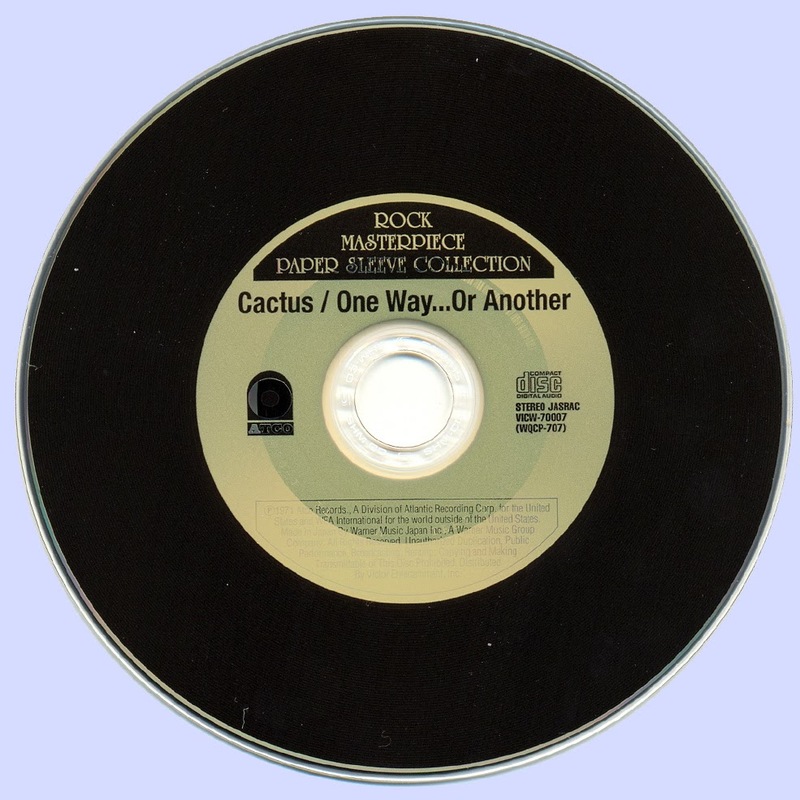 Each double-disc package is filled with not only the combo's respective four long-players, but also plenty of remarkable and previously vaulted sides. 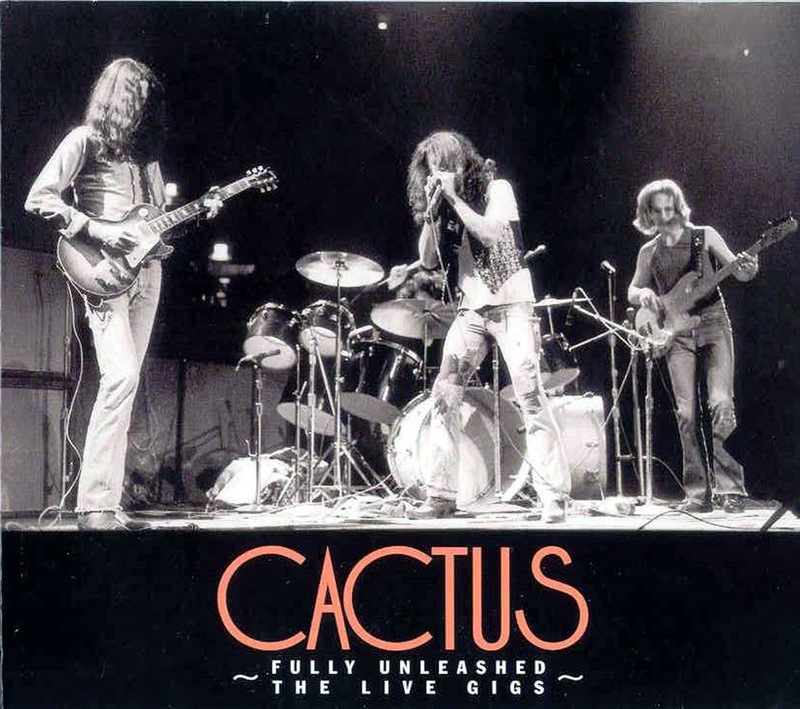 That is an understatement when considering the two-plus hours of vintage concert material from three distinct incarnations of Cactus, centering on the first lineup's final show on December 19, 1971 at Ellis Auditorium in Memphis, TN. Jim McCarty's wailing lead electric guitar introduction to "Long Tall Sally" is a precursor to the hard-and-heavy onslaught that alternately pulverizes and soars on other classic covers, such as their (dare say) definitive workout of Mose Allison's "Parchment Farm" or the 17-plus-minute oldies medley containing "Heeby Jeebies" and "Money," plus the Memphis-apropos "Hound Dog" and "What'd I Say." 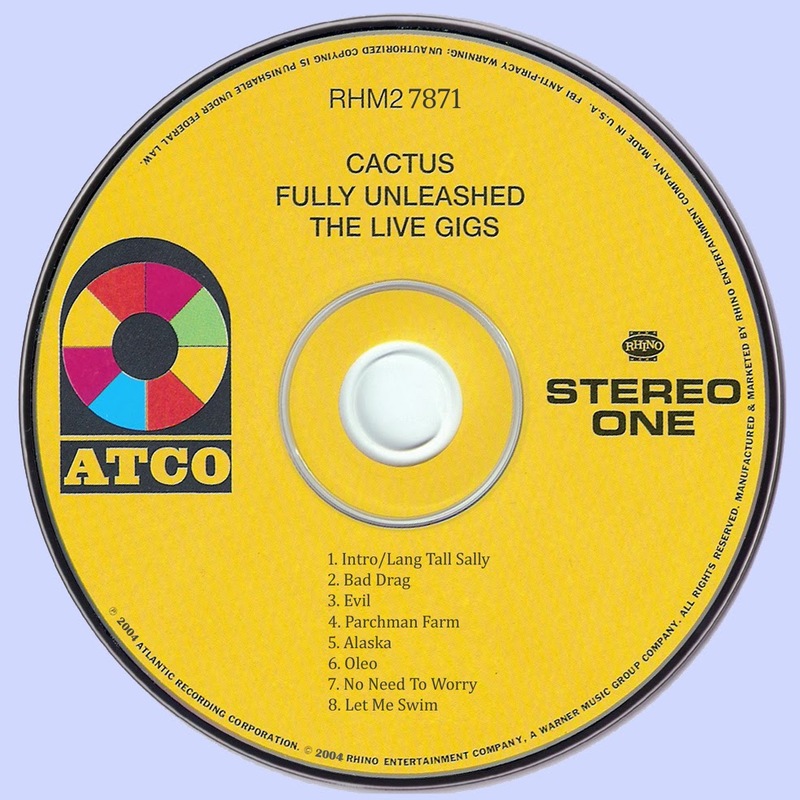 The original roster is additionally featured on "No Need to Worry" and another incendiary reading of "Parchment Farm" from the 1970 Isle of Wight performance. Although both were initially available on the First Great Rock Festivals of the Seventies (1971) anthology, neither has been on CD before. 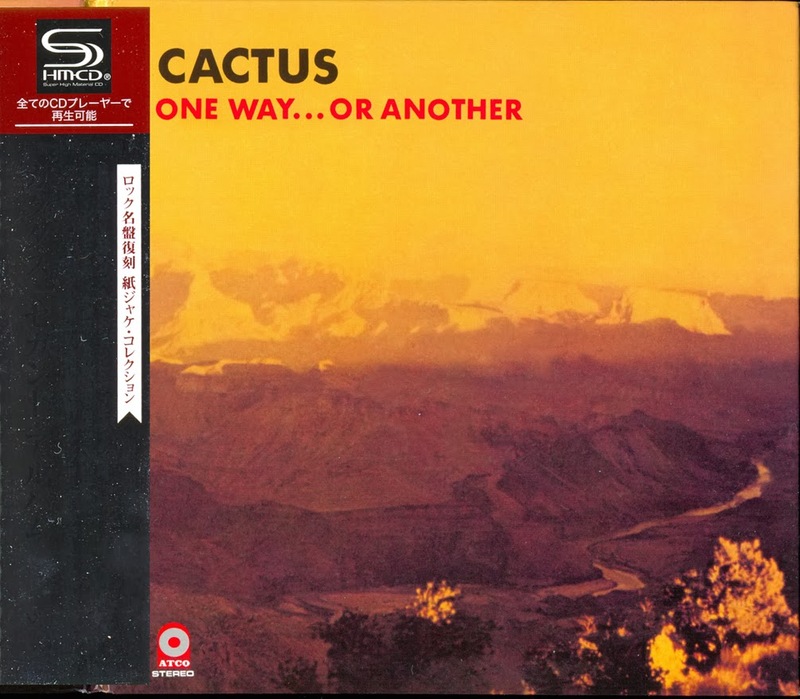 A short-lived lineup with Ron Leejack (guitar) was captured on the title track to One Way...Or Another and "Bro. Bill" from June 27, 1971 at Gillian's in Buffalo, New York, and the remaining cuts are from the group's April 1972 appearance at the Mar y Sol Pop Festival in Puerto Rico with Werner Fritzsching (guitar) and former Atomic Rooster member Peter French (vocals). While "Swim," "Bad Mother Boogie" and "Out L'il Rock-N-Roll Thing" were incorporated into 'Ot 'N' Sweaty, "Bedroom Mazurka" can be found on the out-of-print Mar y Sol (1972) compilation.